Vail Williams was appointed by global brewing company, Molson Coors, to provide strategic property advice as part of a 3-year Framework agreement spanning the organisation’s operations in the UK and Ireland. 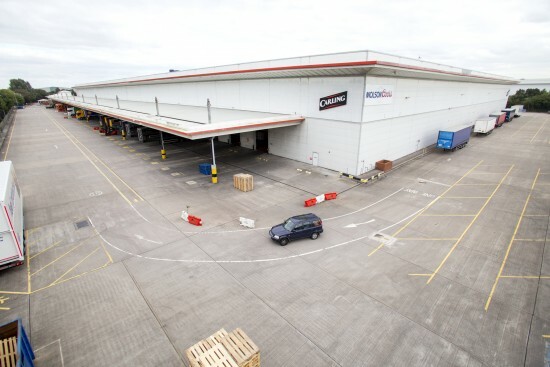 Over the course of the agreement we have assisted this large manufacturer to rationalise its multi-site industrial property portfolio and make best use of its property assets, realising over £56 million in surplus assets. This has included a variety of work from disposals of surplus property and acquisition of new property to help consolidate its functions, to assistance with lease renewals, planned maintenance, dilapidations and property management – both for Molson Coors as the occupier, and for its non-operational properties, let to third parties. Working together with a variety of third party advisers and stakeholders, including Local Authorities and the Environment Agency, our team of advisers is experienced in dealing with all types of ‘property’ – from breweries, industrial units and offices, to water courses, boreholes and reservoirs. In 2017 we completed a significant sale and leaseback of the firm’s national 450,000 sq. ft. distribution centre, realising in excess of £34 million. Our acquisitions and disposals team has sold two of its sites in Hampshire for residential development and is currently marketing a former Brewery site in Burton-on-Trent for mixed-use redevelopment, having also secured the acquisition of a new industrial property in the same area. Working with individual sites, our lease advisory team has carried out a number of rent reviews and lease renewals, including some business units in Belfast. In addition to this, we have supplied advice to help the client reduce their financial liabilities through effective property and treasury management services, as well as dilapidations and planned maintenance advice. Large organisations with sprawling multi-site locations can prove difficult to manage, from a property perspective. For many manufacturers, land and buildings have been acquired and added to over the course of time. This can lead not only to the need to rationalise individual properties, but also the need to consolidate a much wider site portfolio. In some cases this can mean site disposal, in others, remediation or modernisation. Working together with Molson Coors, we took time to understand their business objectives, and provided a suite of property solutions to help meet their needs across a number of sites in the UK and Ireland. Working together with clients who have complex property needs spread across multiple sites, we build long term relationships and develop an in-depth understanding of their future plans for growth. This allows our cross-departmental team of property advisers to provide a comprehensive, one-stop-shop property service which is bespoke to their needs, both now and in the future. Pictured above: National Distribution Centre, Burton on Trent.